Upon returning from the US in March 1995, Steve Rowe set about putting a new Mortification lineup together. Longtime friend of Rowe's and roadie for Mortification Keith Bannister had been a bass player in Australian groove rock band Nu Humans. With the demise of Nu Humans, Bannister took to the drumkit and, being so familiar with Mortification's songs, set about learning the various parts. Rowe was impresssed with Bannister's natural flare for all things rhythm, and knew he was perfect for the drumming position. Rowe and Bannister set about rehearsing and advertising for the right guitarist. Young guitar prodigy Lincoln Bowen had recently moved to Rowe's home city of Melbourne from the country to study at college. At an audition Bowen's guitar prowess immediately impressed Steve and Keith, and he soon joined the band, eventually to become the longest serving Mortification guitarist. Never being one to settle for what has been done before, and with a brand new lineup, Rowe set out to record a more extreme Power Metal project with EnVision EvAngelene. Tuning the guitars down half a tone and leaving raw production behind, Rowe set out to record a clean, brutal, and slick production with EnVision. With the title track clocking in at almost 20 minutes, EnVision EvAngelene was a risky departure from what had come before. Performing more in the Classic Metal scene than the Extreme Metal scene inspired Rowe to take this direction. The band formed a strong friendship with Melbourne Power Metal outfit Pegazus, who would very soon join the Nuclear Blast stable. 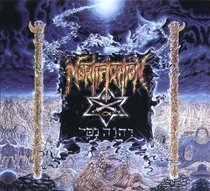 The new Mortification lineup toured extensively in Australia, Europe, and the US, with EnVision EvAngelene acclaimed as one of the band's best albums, often cited alongside Scrolls of The Megilloth and Post Momentary Affliction as a high point in the band's very diverse history.